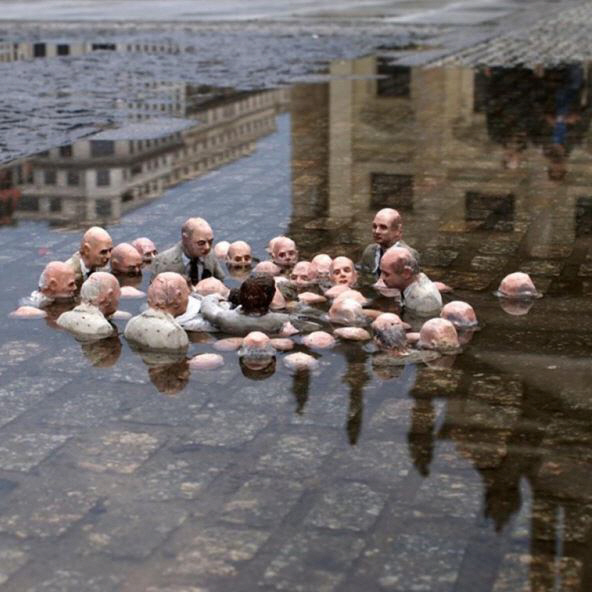 This photo has been making the rounds of Facebook and Instagram with the title “Politicians Discussing Global Warming”. It is from the “Follow the Leader” series staged in Berlin in 2011 by artist Isaac Cordal, and included in his book, “Cement Eclipses”. Isaac Cordal studied art at the University of Fine Arts Pontevedra, with a degree in sculpture, and at Camberwell College of Arts in London. He also “studied for five years at the School of Canteiros Pontevedra, a school dedicated to the conservation of stone crafts.” He was born in Pontevedra, Galicia, Spain. In various projects Isaac Cordal has shown interest in topics related to climate change. 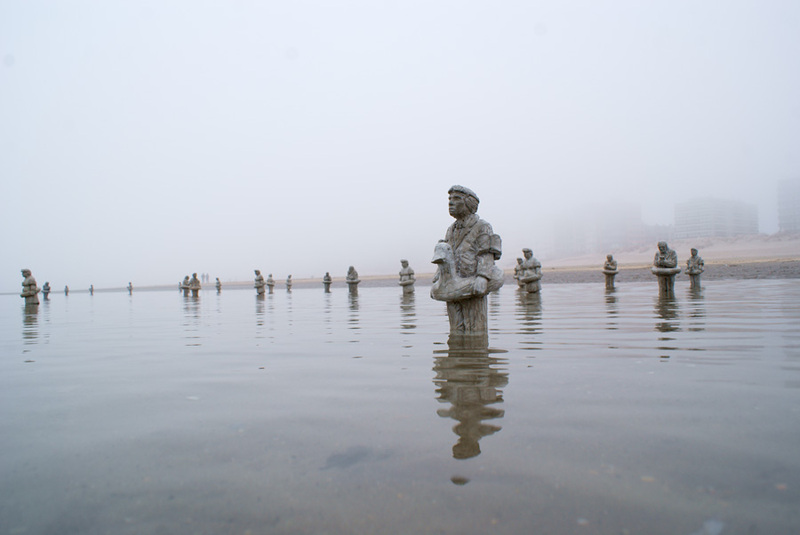 During the triennal Beaufort04 he presented a series of sculptures on the top of a few poles representing individuals with float waiting for climate change. An ironic proposal to reflect on our ineffectiveness with the degradation of the planet. During Le Voyage to Nantes, in summer 2013, he presented in the moat of the castle of the Dukes of Brittany a floating life-size sculptures. Businessmen represented as a kind of cast adrift.